Get kids moving and away from “screen play” into “real play” that involves moving their bodies at the new Richmond Park Playground. Families have a fantastic opportunity to get kids moving and away from “screen play” into “real play” that involves moving their bodies and having fun with friends at the new Richmond Park Playground. Richmond Park is an important recreation facility with historic significance in the centre of Richmond. 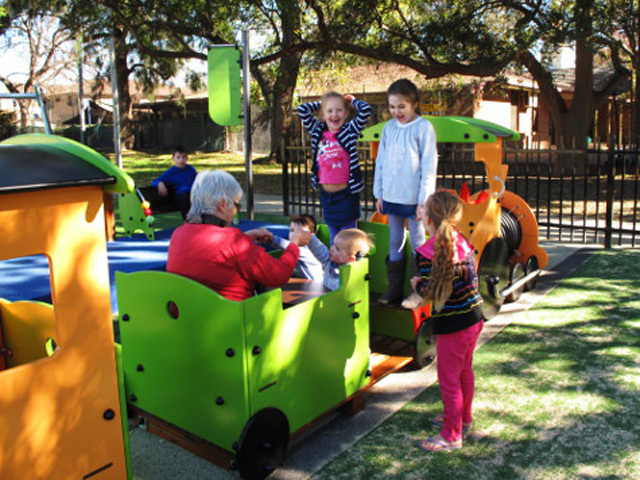 Hawkesbury City Council recently replaced the old playground with a new facility that encourages active and imaginative play activities for toddlers, young children, school age children and adults. This part of Richmond Park has been providing for children’s play for a long time – a swing set was first installed here in 1891! One of the most notable things to observe at the new Richmond Park Playground is how much children are moving their bodies and having fun as they play together with family and friends – moving, exploring, talking, laughing, even singing! 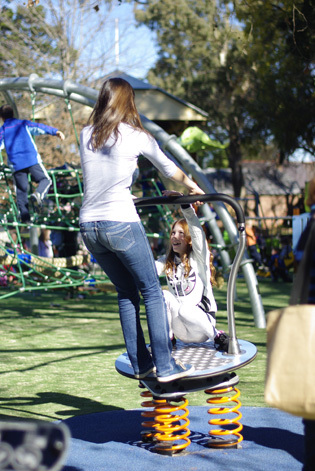 The Proludic Vivarea Multi-Play has lots of different climbing, balancing and sliding activities. The cubby house and manipulative items encourage socialising and development of fine motor skills. The Dynamo Nebula Net Climber provides interesting and challenging climbing activities. 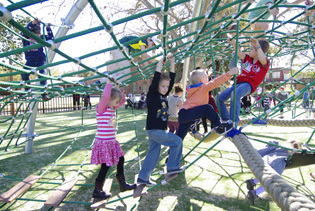 Children explore different ways of moving their bodies through, up, over and under the net. The dome shape of the net is sympathetic to the adjacent rotunda. Children line up to wait their turn to play on the spinning and bouncing Hip Hop and Rodeoboard. 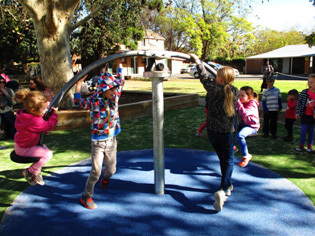 Older children and parents can supervise the turn-taking which helps children develop social skills in the playground. The Animal Labyrinth play panel helps develop cognitive and fine motor skills, and gives children the opportunity to engage in some quiet play. Swings are always a favourite item in playgrounds and the Proludic Junior Swing is very popular! 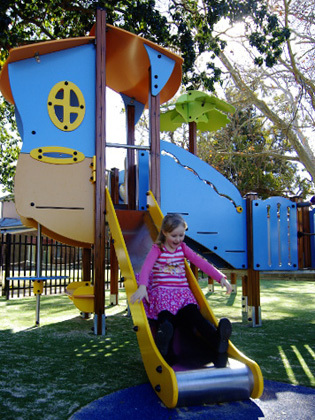 Viva Recreation designed, supplied and installed all aspects of the new playground at Richmond Park for Hawkesbury City Council using Proludic and Dynamo play equipment, and the Viva Safety Surfacing System. Contact Viva Recreation to see how we can help with your next playground project. Images (top to bottom): Little Train; Vivarea Multi-Play; Hip Hop; Rodeoboard; and Nebula Net.